32.4 million: The number of people who travelled on the Luas in Dublin in 2014, the highest number in the ten years that the trams have been operating. 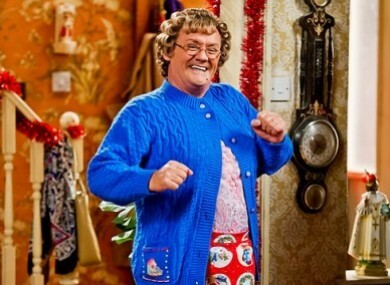 703,000: The number of people who watched Mrs Brown’s Boys Christmas Special on RTE One on Christmas Day, making it the most watched show in the country. 15,000: The approximate number of chickens that were culled in Hong Kong on Wednesday after the deadly H7N9 virus was discovered in poultry imported from China. €479: The average amount spent by each of the 7.3 million tourists who visited Ireland in 2014. 135: The number of journalists who died in 2014. Of these, 118 were killed while on work assignments. 30: The number of years it takes before Ireland’s State Papers are released. There were calls this week for Ireland to copy Britain and change it to 20 years. 3: The number of tigers that a Chinese businessman bought and then ate. He was sentenced to 13 years in prison this week. 2.7: The average number of times that the Army’s bomb disposal teams were called out to deal with a possible explosive device each week during 2014. 2: The number of hours that a man in Brazil drove to his nearest hospital with a knife protruding from his head after he was stabbed at a party. 2: The age of a child in the US who accidentally killed his mother after shooting her with a gun that was in her handbag while she shopped at a Walmart store in Idaho on Tuesday. -7: The lowest temperature it reached in Ireland this week. Brrrr. Email “Mrs Brown, tourists, and the Luas: The week in numbers”. Feedback on “Mrs Brown, tourists, and the Luas: The week in numbers”.